Well kids, it finally happened. 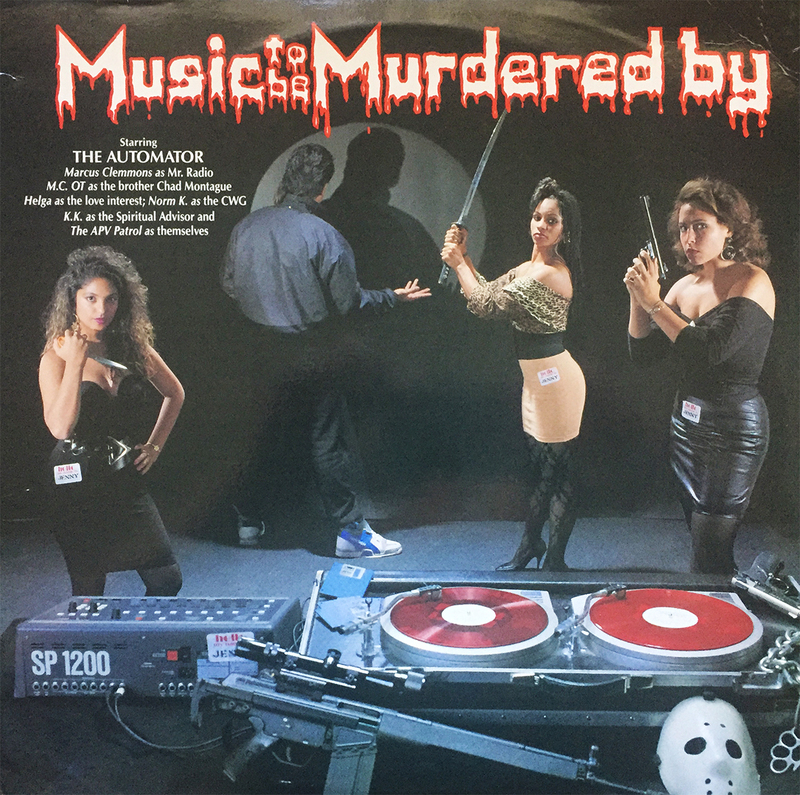 I finally nabbed a copy of Dan the Automator’s 1989 EP, Music to be Murdered By. Needless to say, I’m beside myself with excitement to spin this 7-track dinosaur for the first time. I’m not really sure what to expect from a 1989 Dan Nakamura, but I can’t wait to find out. In regards to timeline, it would be another 10 years from the time of this release before I’d even hear of the man (1999’s So… How’s Your Girl? by Handsome Boy Modeling School), so let’s just say this is gonna be a fun spin. Please take special note of the cheeky details in the album art. Classic Automator.